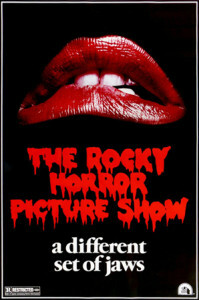 Home » Gag Reflex » ‘The Rocky Horror Picture Show’ film is 40 this year! My Halloween tradition of watching The Rocky Horror Picture Show lives on! This year was the 40th Anniversary of the UK theatrical release of this cult classic. 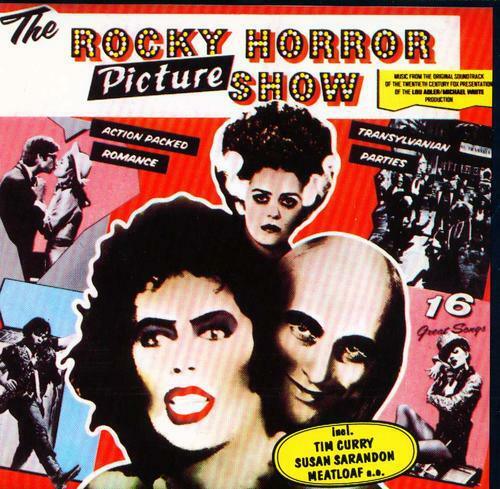 The Rocky Horror Picture Show was sort of a flop by today’s standards, but once midnight screenings began in NYC, there was no stopping this raucous and infectious work of madness. Originally a stage play, it hopped from stage to screen with Richard O’Brien’s script. It was meant to be a tribute to the science fiction and B horror movies of the late 1930s through early 1970s. The costumes are now iconic and shadow casts around the county work painstakingly to imitate them. It’s been said that the film’s costumes were a big influence on the punk music scene with it’s ripped fishnets, dyed hair, and glitter makeup. 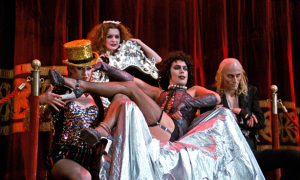 Rocky Horror is the right balance of shock and camp. It’s difficult not to sing along and no matter if you’re a die hard fan or not, you’ve been hearing quotes from this movie for ages. And speaking of quotes, when attending a midnight screening, the audience is encouraged, dare I say, required to quote along. It’s an immersive experience to say the least. Once you finally make it to a screening, you’re going to want to be prepared to get up and shake it. 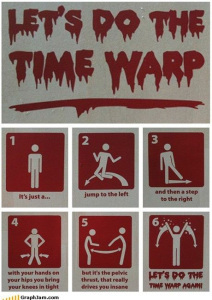 Here is a quick refresher for the all important audience participation Time Warp.